Frame is 5/8" wide and 1" deep. This frame/ clock combination is the perfect addition to any desk or mantel! 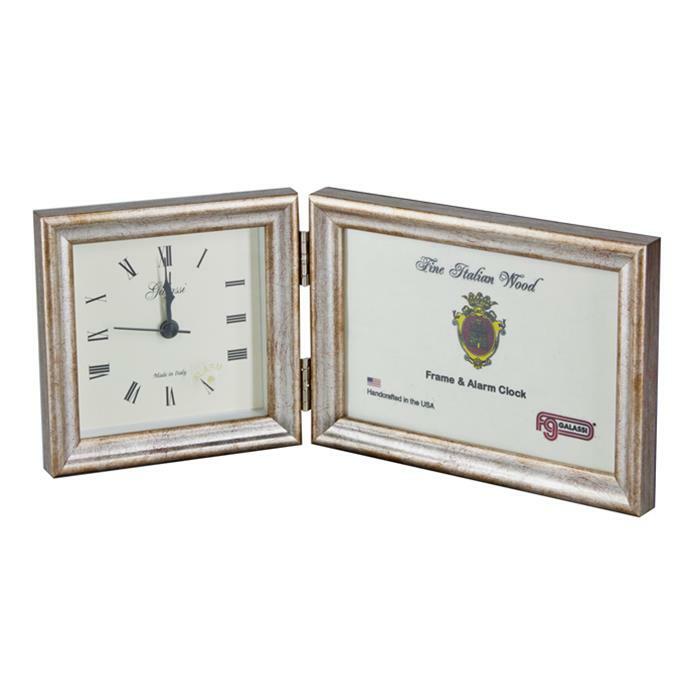 This elegant, functional gift item combines a 4"x4" analog clock and a 4"x6" photo frame in a traditional antique gold finish. Clock movement is powered by one AA battery (not included.) Excellent for home, work or travel. F.G. Galassi, Inc. hand crafts its frames and products in the USA from moldings that are produced around the world.